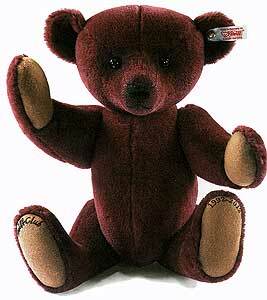 Steiff "Louis" was the 2012 Club Special Edition Teddy Bear. He is of noble birth, as is evident from his burgundy coat of high quality alpaca. His restrained elegance is evident in the delicate embroidery on his pads that is a reference to the Steiff club's 20th birthday. A real stunner, Fully jointed. Size 37cm.